Certainly doesn't look like a Victoria to me either. 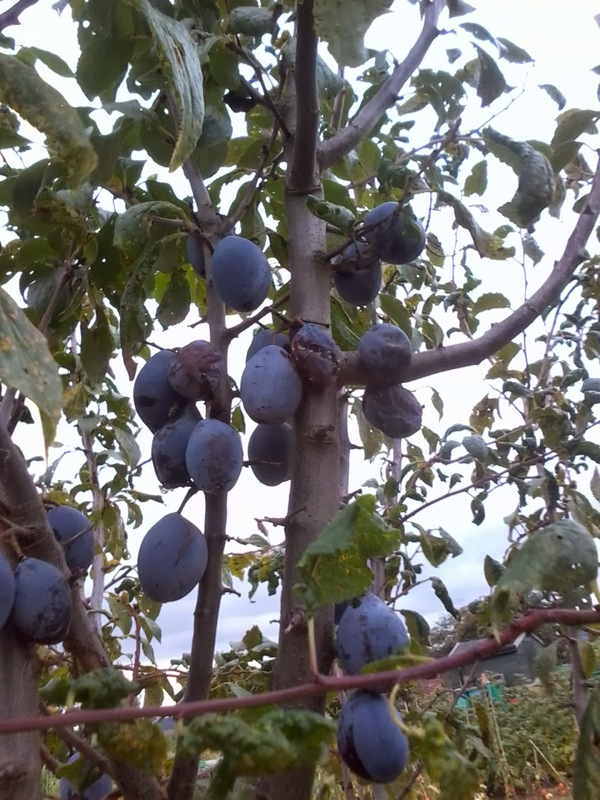 There are a few blue plums. I think Czar is one of the most common. Try this site http://www.orangepippintrees.co.uk/plum-trees which may help you identify it. Thanks Sue, I will check out the site. 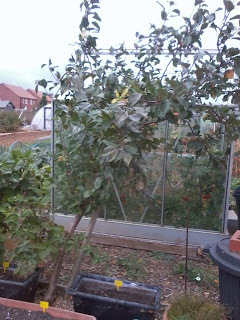 The trees were all bought together as a special offer and I wasn't really bothered about a victoria plum tree as my parents have a very good producer which is older than me so it's actually worked in my favour that it's a different variety. They tasted great!! 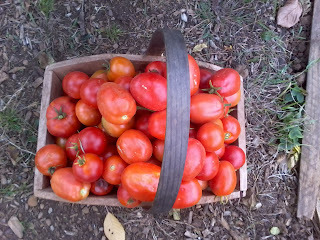 I never seem to do really well with plum tomatoes, they're always very late to ripen. Which variety do you grow? 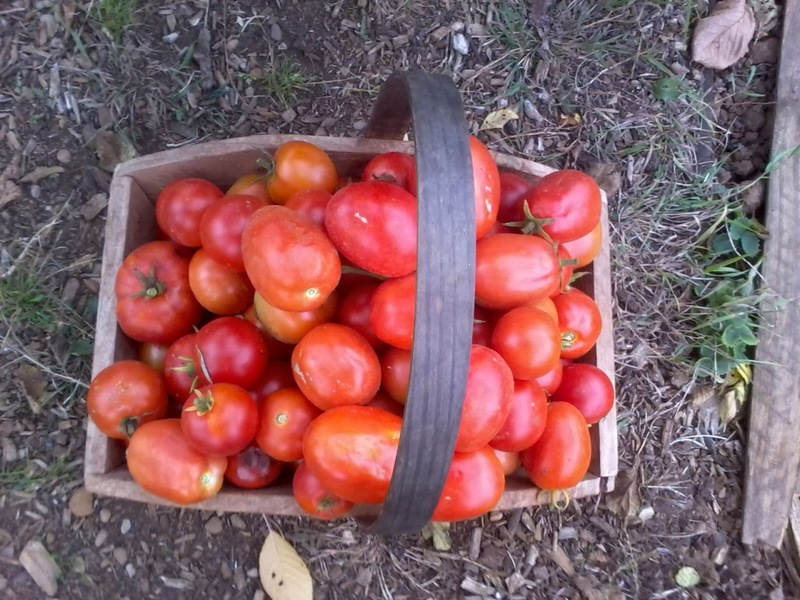 I love the taste of San Marzano and I had some whoppers this year, but as I say, they weren't ready until the very end of the season. 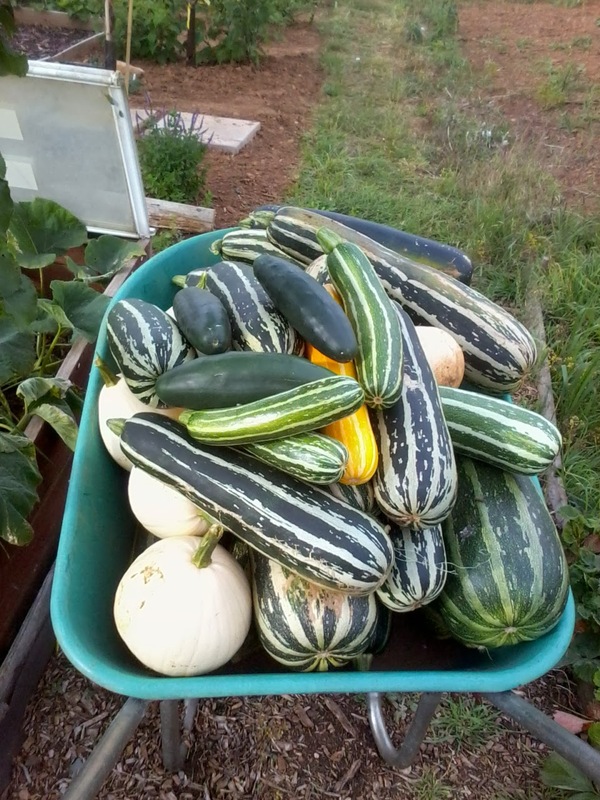 You did very well with squash and pumpkins. The plums I grew were from seeds saved from some tomatoes I bought at the show in 2012 so I have no idea what variety they were. 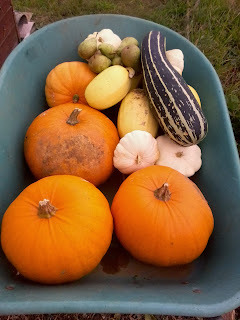 Unfortunately I didn't save any seed this year so will be looking for some more to grow for next year. 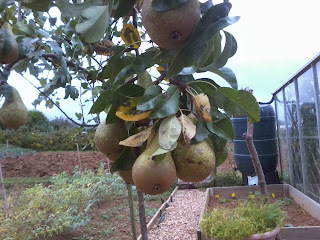 Mine were also late to ripen but as I use them for making sauces I don't really mind. How old is your Bramley tree? I planted a 4-foot one this year, and I'm wondering how quickly it will grow. Winter squashes keep well, but what on earth did you do with that massive quantity of Summer Squashes? 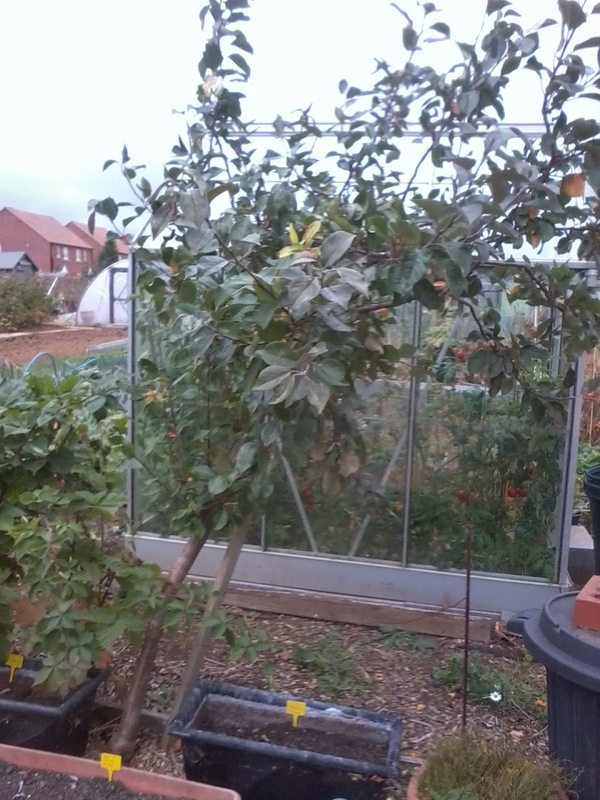 My bramley tree is about 4 years old now Mark but has produced the last 3 years for me. Each year I get a few more, you may find you get a few next season!! 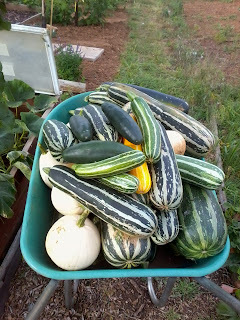 Some of the summer squashes were given to friends, I made soups, cakes, and jams with the others. Oh and we are huge lovers of stuffed marrow and have it about once a week when they are in season so they soon et used up!! You did well with all your fruit and veg produce. 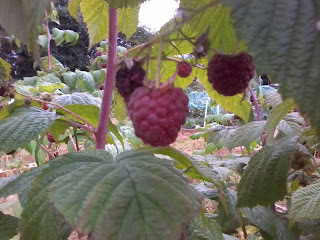 Raspberries would be something I would like to grow - one of my favourite fruits. I grow autumn raspberries Linda as there is less messing about with them. Put them in the ground and they grow and multiply. At the end of the season cut all the canes off about an inch above the ground and it all starts again the following year. Summer raspberries are different. You have to cut away the old but leave the new so it takes more time, care and attention. Some say they prefer the summer raspberries for the taste but I am happy with my autumn ones and get plenty off them for syrups, jams, cordials and some extras for the freezer over the winter months!! Dear Tanya, Too bad you did not get to pick the grapes. I love grapes, probably would be the first thing I would pick. I bet the fresh tomato sauce was wonderful. And not to mention, pear vodka, that is ambitious. You did wonderful with your garden. The garden I planted did not do well at all. I am looking forward to another try this coming season. They didn't really get ripe enough to just pick and eat Catherine, I fear they would have been a little sour. 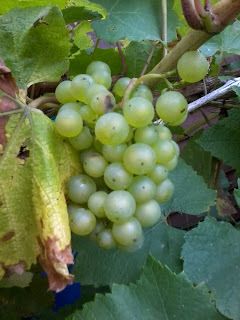 Maybe next year they will be fully ripe, if not I will try to make some juice/cordial with them!! I don't think I've ever planted that much in my life. I keep telling myself next year. I hope this one is the time.